2015 is the Year of the Sheep. Of course I had to make sheep shaped bread. I was surprised that I have not done it before but I did make sheep shaped cinnamon rolls. If you are interested in making sheep shaped food (sweet and savory) I have a Pinterest board. 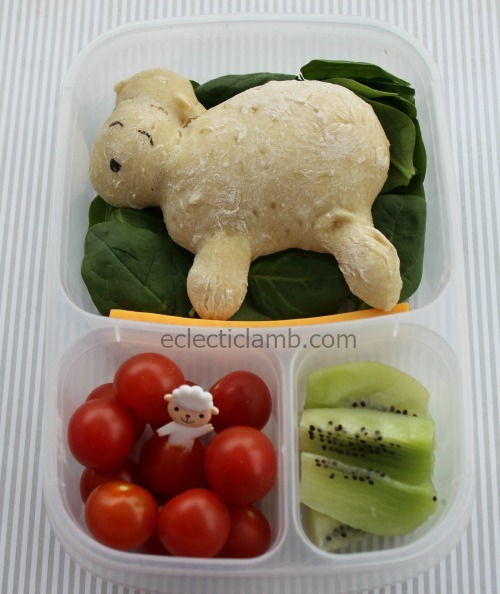 This entry was posted in Bento / Cute Food, Food and tagged lamb, shaped bread, sheep. Bookmark the permalink. This is so adorable! You really are so creative with bread, love this sheep you’ve made!